PROVIDING COMPREHENSIVE EYE CARE FOR NW HARRIS COUNTY SINCE 2004. Our mission is to provide you the best eye care we can. That means exceptional medical treatment in a comfortable environment. And that means being a partner to keep you informed and your eyes healthy. 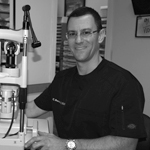 Each of our doctors has been practicing for over 10 years and stays apprised of the latest ocular advancements. Dr. Vyas has deep roots in Texas. As a resident of Cypress, she founded ESSENCE EYE CARE in 2004 to provide comprehensive eye care to her neighbors in NW Harris County. She has a degree in psychology from the University of Texas at Dallas and received her Doctor of Optometry degree from the University of Houston College of Optometry in 2000. Before entering private practice, Dr. Vyas performed externships at the Martin Army Hospital at Fort Benning in Georgia and at the Veterans’ Affairs’ Murphy Medical Center in Albuquerque, New Mexico. Dr. Vyas has received multiple Walmart Doctor of the Year awards, placing her as one of the top Walmart-affiliated doctors in the country. As the parents of two young boys, Dr. Vyas and her husband no longer understand the concept of free time. Dr. Bravenec was born and raised in Houston, Texas. He received his undergraduate degree in biology from Texas A&M University in 2001 and his Doctor of Optometry degree from the University of Houston College of Optometry in 2007. Before entering private practice, he completed a residency in ocular disease at Northeastern State University in Oklahoma. Dr. Bravenec then accepted a commission in the U.S. Navy, serving from 2009-2012. In 2010, after a rigorous, year-long process, the American Academy of Optometry selected Dr. Bravenec as a fellow of the Academy—a status held by only a distinguished few Doctors of Optometry in the U.S.
Dr. Bravenec resides in Katy with his wife, Anh, and their daughter, Emma. Dr. Campbell, having grown up in a military family, has traveled the world. She has a degree in Chemistry from James Madison University in Virginia and earned a degree in Vision Science and a Doctor of Optometry degree from the Illinois College of Optometry in 2000. Before entering private practice, Dr. Campbell completed a residency in pediatrics at the University of Houston College of Optometry. 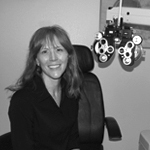 In 2004, Dr. Campbell earned a fellowship in the American Academy of Optometry, and belongs to the Pediatric and Primary Care Sections. Dr. Campbell is a pediatric specialist and can treat children as young as three months. 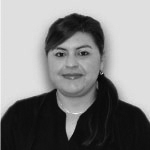 She has worked at Texas Children’s Health Center and taught at San Jacinto College. Dr. Campbell and her husband spend their free time relaxing with their two children and volunteering for Girl Scouts and Boy Scouts. Dr. Mathura left Trinidad & Tobago at a young age and was raised in Houston, Texas. She received her undergraduate degree in Biology in 2004 and received her Doctor of Optometry degree in 2008, both from the University of Houston. 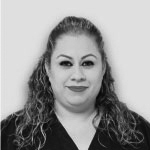 Before entering private practice, she completed externships at Alamo Eye Care and Sharp’s Eye Consultants in San Antonio, Texas. 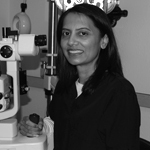 Dr. Mathura provides broad-based care, having trained in several different modes of practice, including primary care, contact lenses, and ocular disease. Dr. Mathura can often be found spending her time in the gym or traveling the world. Dr. Thompson grew up in Wyoming and moved to Houston in 2012 to be closer to family. She has a degree in Psychology from Rocky Mountain College and received her Doctorate of Optometry in 2003 from Indiana University. (Go Hoosiers!) Before entering private practice, Dr. Thompson did externships at Lackland Air Force Base in San Antonio, and Bennet and Bloom Eye Centers in Louisville, Kentucky. Dr. Thompson provides comprehensive eye care for adults and kids. Ms. Veronica grew up in California and has been living in Katy for 17 years. She has a degree in Fine Arts with a concentration in Visual Communications. She has worked as a graphic designer for a newspaper and was the business manager for a learning center. She believes in providing a high-quality customer experience and building relationships with customers. Veronica loves to travel and enjoys spending time with family and friends. Carolyn Gomez was born and raised in Houston, TX. 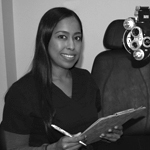 She started her experience as an Optometrist Assistant in 2001. 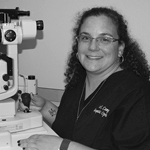 As she continued to grow in the field, she joined Essence Eye Care in 2007. She later became office manager in 2009 which then led her to manage a second office in 2015. She loves assisting and helping others. She loves her job and enjoys spending time with her children and friends on her free time.